At the reception, Raveena was photographed in a Tarun Tahiliani sari, one that she teamed with traditional jewelry and an updo. The sari is something we’ve seen before, it wasn’t exactly novel. That said, it worked for Raveena, what however didn’t was the blouse and choice of jewelry (which clashed with the sari border)- together they made the look seem rather busy and dated. 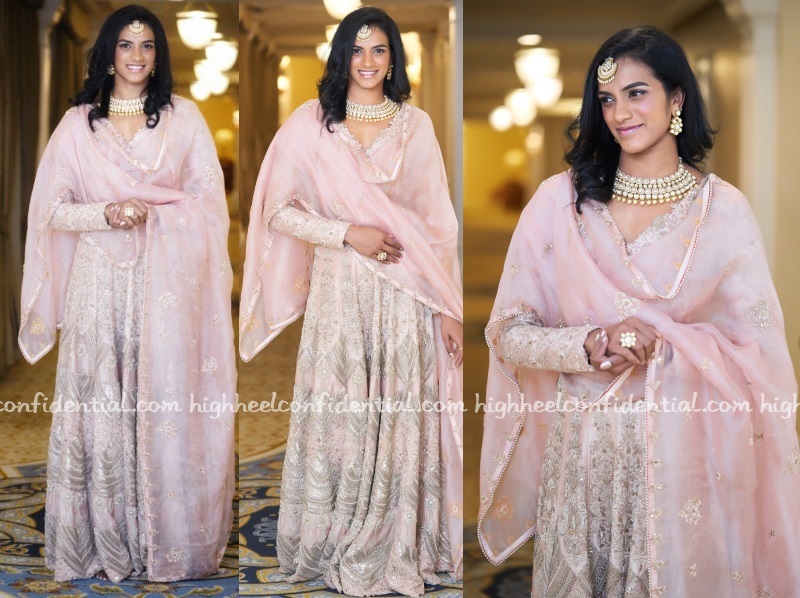 Wearing an Anamika Khanna anarkali, Sindhu attended Deepika and Ranveer’s wedding reception in Bengaluru. She looked lovely. 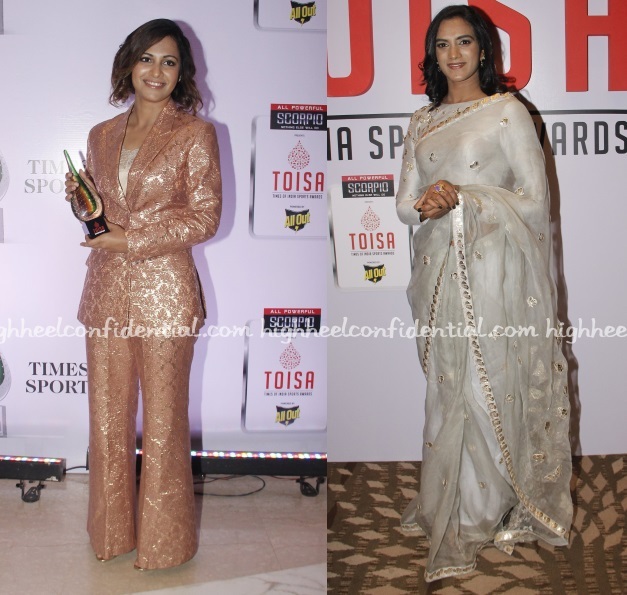 Heena and Sindhu attended the TOI Sports Awards with the former wearing a Posh Pride suit and the latter a Falguni And Shane Peacock sari. Amyra sported a Kanika J Singh gown to the Femina Women Awards featuring a neoprene v-neck bust and printed full-skirt. Earrings from Anmol and bracelet from Tsifira finished out her look. She wore the gown well but the hair felt a bit meh.